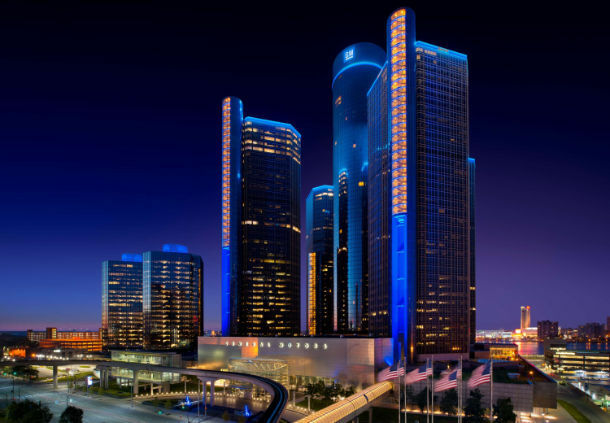 The Detroit Marriott at Renaissance Center is the official headquarters hotel of the 2018 Army Autonomy and Artifical Intelligence Symposium. Located in the heart of the city, this hotel provides convenient access the Cobo Convention Center, city attractions, restaurants and the Detroit People Mover public transportation system. Reservations may be made online or by calling 800-228-9290 and refer to the AUSA Autonomy and Artificial Intelligence Symposium and Exposition. The cut-off date is Friday, November 2, 2018. Reservation requests received after the cut-off date will be based on availability at the hotel’s prevailing rates. The hotel’s check-in time is 3:00 pm. The hotel’s check-out time is 12:00 pm. Should an early arrival or late departure be necessary, arrangements can be made for luggage storage.